UFO SIGHTINGS DAILY: Giant UFO Fleet on Stereo Ahead COR 2 July 13, 2016 Video, UFO Sighting News. 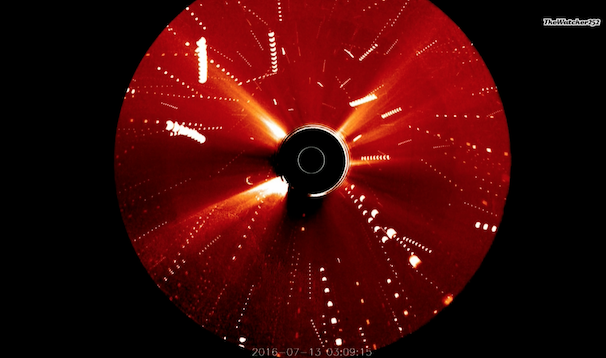 Giant UFO Fleet on Stereo Ahead COR 2 July 13, 2016 Video, UFO Sighting News. 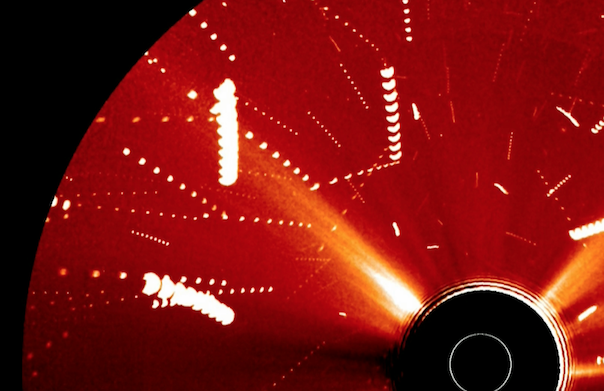 This fleet of UFOs flew between our sun and the SOHO/NASA satellite this week. Found by TheWatcher252 of Youtube, this photos of our sun (black center) shows that UFOs that are miles across are passing our sun on a daily basis and without anyone, but governments noticing. Of course...there is nothing the governments of this planet can do to deter alien craft from flying around our sun, or even our planet for that matter.